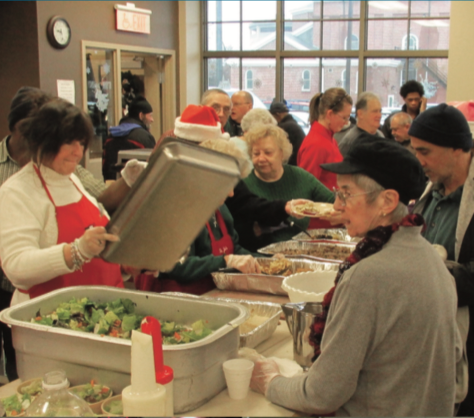 St. John’s Food for the Poor Program at the unique St. Francis Xavier Center in Worcester, Massachusetts is a nonprofit charitable organization. Volunteers serve up to 700 hot nutritious meals a day, five days a week. 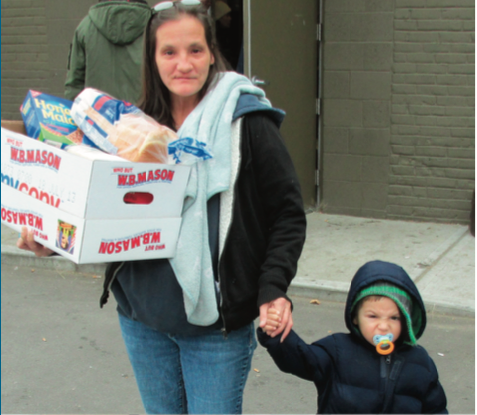 Free food and support programs are available to any man, woman or child in need of food regardless of race, color, creed, gender or way of life. 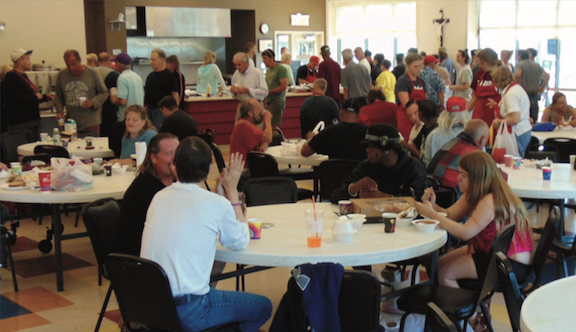 Our not-so-typical soup kitchen  is the mainstay of our programs. Every weekday, 52 weeks a year, guests are welcomed by Fr. John Madden and led to a round table in our spacious dining room with natural light streaming in from its expansive windows. Every meal hosts guests of all ages: the working poor, unemployed, seniors, homeless and families with children. Our organization is headed by Fr. John Madden, pastor of St. John’s Church, Bill Riley, manager of the St. Francis Xavier Center and Frank Carroll, chairman of the St. John’s Food for the Poor Committee. They have put together an army of volunteers including active and retired executives; experienced food service managers; restaurant owners; finance, marketing, advertising, legal, human resources and medical professionals; and many other willing hands to make our organization function. 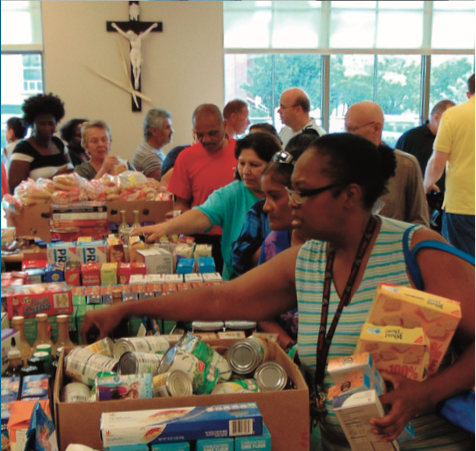 St. John’s Food for the Poor Program relies on the generosity and strong support of an active group of partners including individuals, corporations and foundations that make up our community. We bring together all available resources for humanitarian needs to benefit the hungry and the poor. 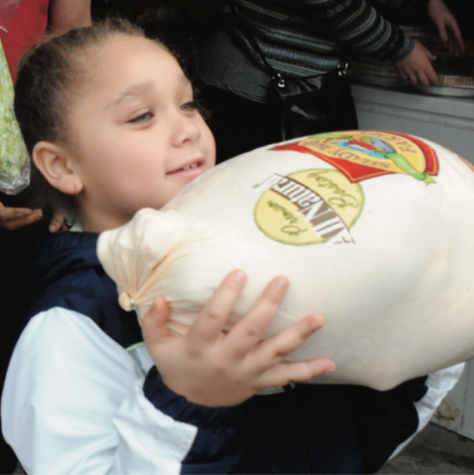 We are deeply grateful to the many who join us and support our commitment to “help feed the hungry,” providing a healthier and more meaningful life to those among us in need.